Rookie Josh Rosen will take over as the Arizona Cardinals’ starting quarterback this Sunday against the Seattle Seahawks. TEMPE, Ariz. — Rookie Josh Rosen will take over as the Arizona Cardinals’ starting quarterback this Sunday against the Seattle Seahawks. 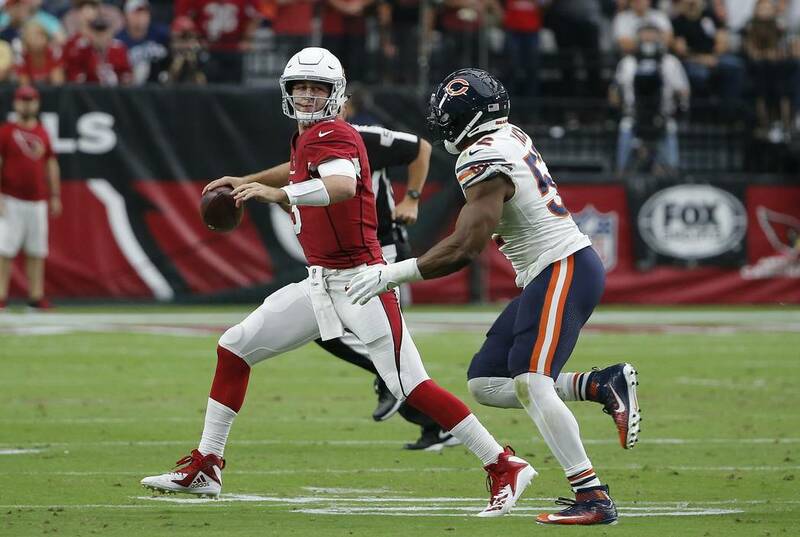 Rosen, the 10th overall pick in this year’s draft, replaced veteran Sam Bradford in Sunday’s 16-14 loss to the Chicago Bears with 4:31 left to play after three Arizona second-half possessions ended in turnovers. Rosen couldn’t rally the Cardinals to a win, as he threw an interception to end his first drive and was sacked to end the second. But the rookie from UCLA completed four of seven passes for 36 yards and apparently showed coach Steve Wilks enough for him to make a change for the winless Cardinals (0-3). Wilks met with the team Monday morning and informed the players of his decision. He didn’t say whether Bradford would be the clear No. 2 quarterback or if that job would go to third quarterback Mike Glennon. Wilks said he made the decision Sunday to replace Bradford early in the fourth quarter after Bradford was sacked and fumbled away the ball with 11:33 left on the clock. The Bears then ran off almost seven minutes and took the lead on a field goal. Bradford handled the news well, Wilks said, and will be asked to continue to help mentor Rosen. Arizona’s offense has produced just 20 points in three games. Wilks felt going with Rosen would provide a spark against the Bears, and he hopes that will continue going forward.